We have been window cleaning throughout Bedford since 2005. Having lived,worked and played here for many years, Bedford is where our business all started. Over the years the town has seen huge expansion and OneClean have expanded too so that we can cover all these area’s. Area’s including woodlands Bedford, Wixams Bedford, Clapham, St Mary’s Bedford, Great Denham. We not only have a large domestic window cleaning round but we also carry out lots of commercial window cleaning around the town. 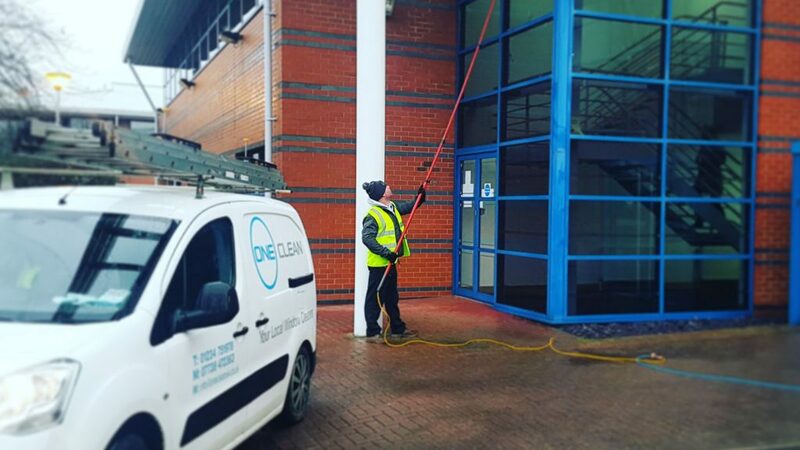 Whether it’s a shop, school, office block, block of flats, carehome, OneClean can offer the window cleaning service you require. Take a look through our website to see some of the services we have been providing to many commercial and domestic properties in Bedford.